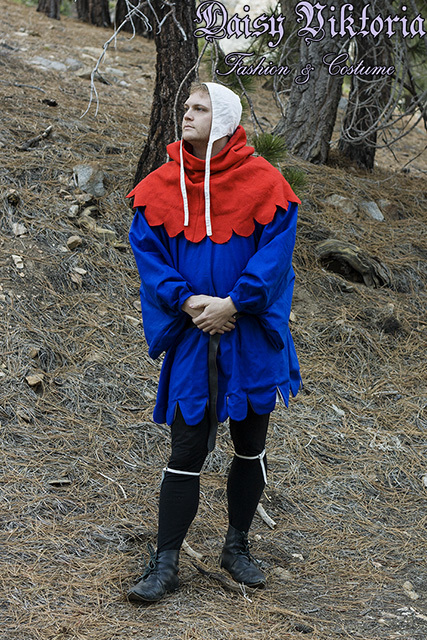 This male houppelande is based on 15th century sources. 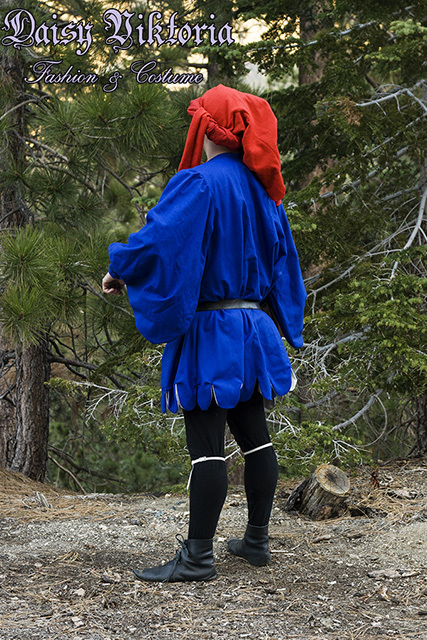 The houppelande is made of blue wool and fully lined. 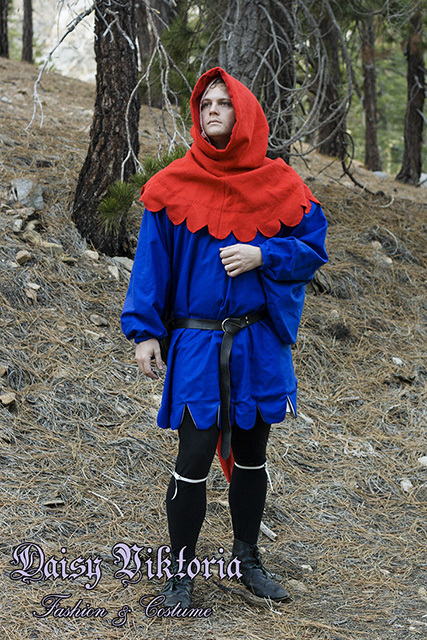 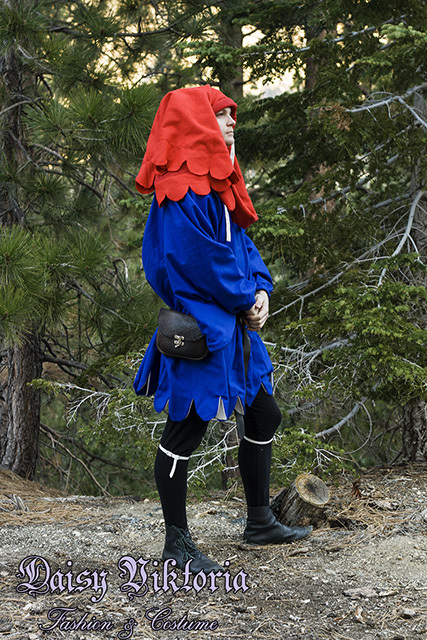 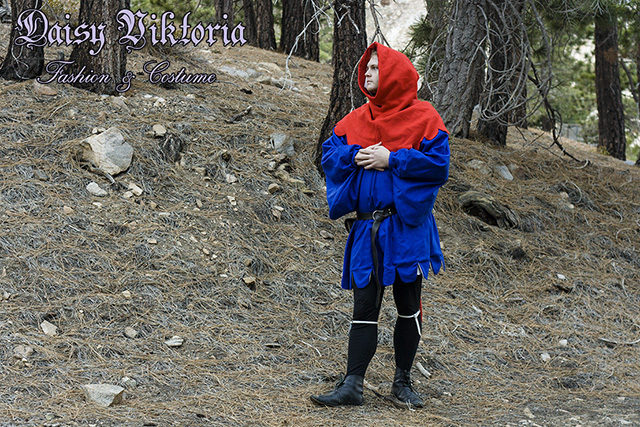 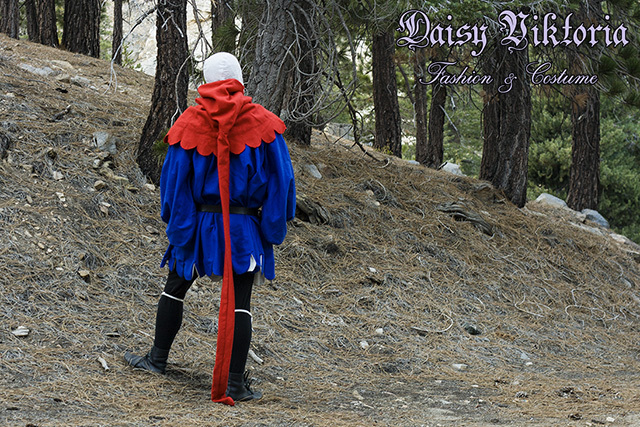 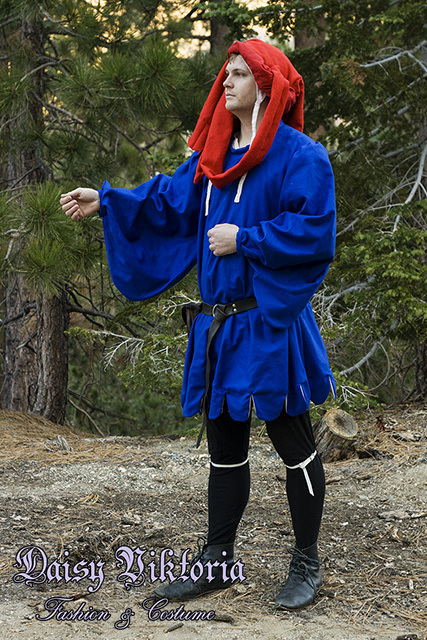 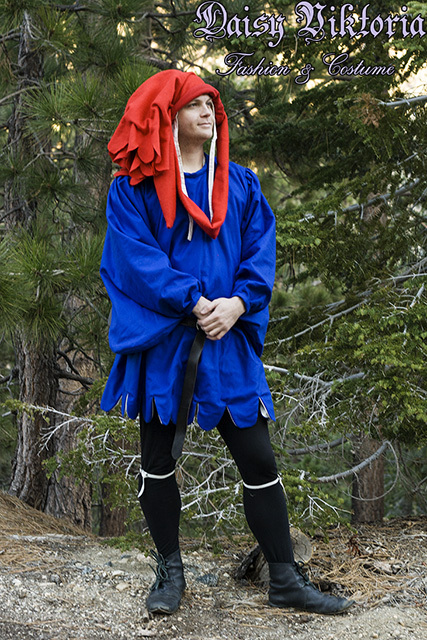 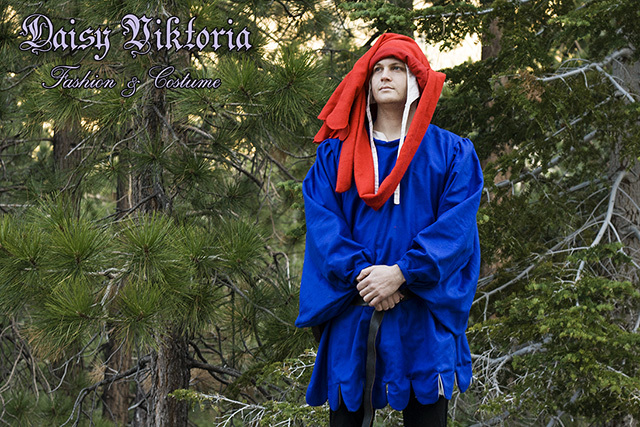 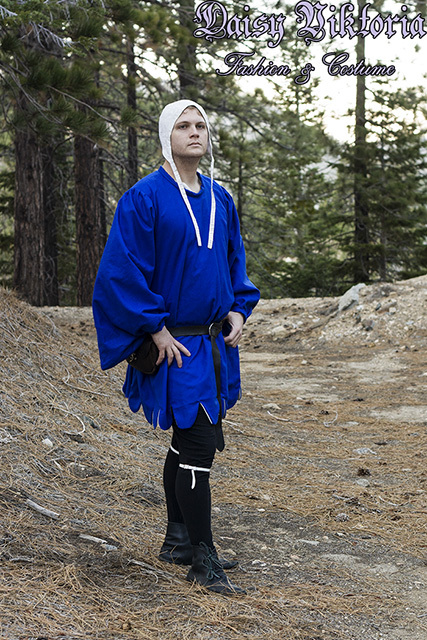 The hood is made of red wool and is lined throughout the upper section and dagged at the bottom. 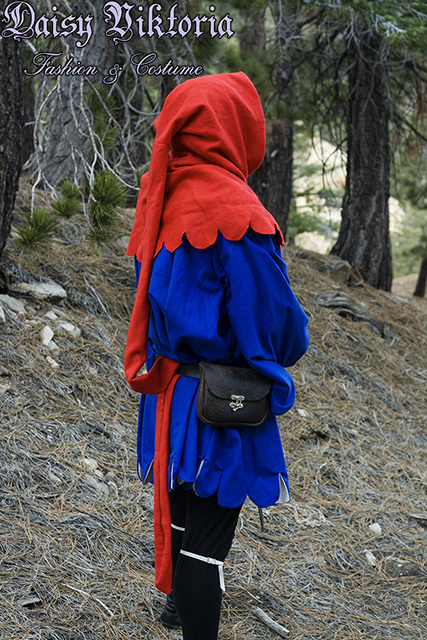 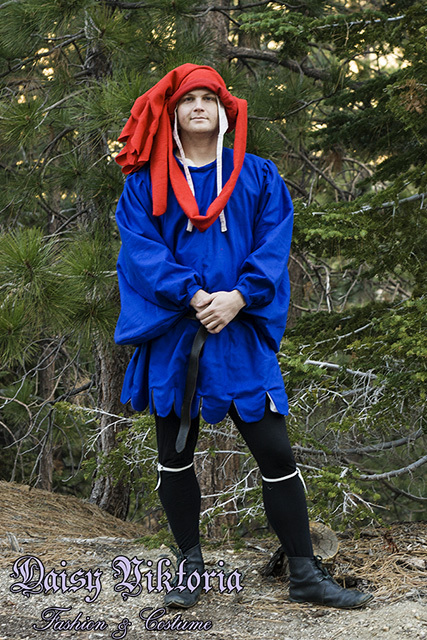 The hood is also worn rolled up as a chaperone.